We at I.M.120 advocate our High Dose IV Vitamin C therapies in addition to traditional cancer treatment and prevention protocols. We are excited by this growing body of research, and look forward to further developments. Watch a video testimonial here how High Dose Vitamin C was used to fight her cancer. In the 1970s, Dr. Linus Pauling – the only person to ever be awarded two unshared Nobel Prizes – began to examine the potential use of Vitamin C in the treatment of cancer. Starting in 1974, researchers inspired by the theories of Dr. Pauling published clinical trials of high-dose intravenous vitamin C in advanced human cancer. The observed patients had longer than expected longevity when compared to case controls, and when compared to expected norms for their disease. Interest in the use of Vitamin C in cancer treatment waned following a study that was performed at the Mayo Clinic and published in the New England Journal of Medicine in the late 1970s. However, this study used only ORAL Vitamin C, whereas the previous studies had used oral and intravenous Vitamin C. Noting this discrepancy, researchers began to publish studies showing not merely that intravenous Vitamin C was extremely safe, but that it was effective in mitigating the often-significant side effects of chemotherapy and radiation therapy. 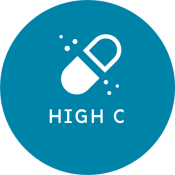 Increasingly, however, published studies have begun to demonstrate that high dose Vitamin C is actually toxic to a wide variety of cancer cells. Intravenous Vitamin C has been shown to have the capacity to create a buildup of hydrogen peroxide within cancer cells that causes the cell walls to burst and the cells to die. Normal cells, with their ability to easily neutralize hydrogen peroxide, are unaffected by intravenous Vitamin C.
A consultation with Dr. Petteruti is required before starting any IV vitamin C therapy over 10,000mg. Please call the office: 401-921-5934 to schedule. Click here to watch Dr. Petteruti explain cancer and high dose vitamin C.
Why do I need a G6PD blood test before I start on a high dose Vitamin C drip? Glucose-6-phosphate dehydrogenase (G6PD) deficiency is a hereditary, X-linked recessive genetic enzyme deficiency. It is an important enzyme in reducing free radicals in the cells that cause oxidative damage. Vitamin C (ascorbic acid) can become an oxidant and cause hemolysis or anemia (an insufficient capacity of the blood to bring oxygen to the tissues and carry away carbon dioxide) if taken in too large of a dose. note - Although the research is promising, IV vitamin C has not been shown to cure cancer. IM 120 encourages all patients to maintain continuity of care with their regular doctors and oncologists. A medical evaluation by an IM 120 Doctor or Nurse Practitioner is required in order to receive high dose IV vitamin C for cancer. Ascorbic-acid Treatment for Progressive Bone Metastases After Radiotherapy: A Pilot Study. On the growth rates of human malignant tumors: implications for medical decision making. Growth rate of small lung cancers detected on mass CT screening.